For other uses, see Sega (disambiguation). "Sega Sammy Holdings Integrated Report 2018" (PDF). Sega Sammy Holdings. 2018. Retrieved October 19, 2018. Sega Games Co., Ltd.[a] (/ˈsɛɡə/; stylized as SEGA)[b] is a Japanese multinational video game developer and publisher headquartered in Tokyo. The company, previously known as Sega Enterprises Ltd.[c] and Sega Corporation,[d] is a subsidiary of Sega Holdings Co., Ltd., which is part of Sega Sammy Holdings. Its international branches, Sega of America and Sega of Europe, are respectively headquartered in Irvine, California and London. Sega's arcade division, once part of Sega Corporation, has existed as Sega Interactive Co., Ltd., also a Sega Holdings subsidiary, since 2015. The company was founded by Martin Bromley as Nihon Goraku Bussan[e] on June 3, 1960, which became known as Sega Enterprises, Ltd. after acquiring Rosen Enterprises, an importer of coin-operated games. Sega developed its first coin-operated game with Periscope in the late 1960s. In 1969, Sega was sold to Gulf and Western Industries. Following a downturn in the arcade business in the early 1980s, Sega began to develop video game consoles, starting with the SG-1000 and Master System, but struggled against competitors such as the Nintendo Entertainment System. In 1984, Sega executives David Rosen and Hayao Nakayama led a management buyout of the company with backing from CSK Corporation. Sega released its next console, the Sega Genesis (known as the Mega Drive outside North America), in 1988. Although it was a distant third in Japan, the Genesis found major success after the release of Sonic the Hedgehog in 1991 and briefly outsold its main competitor, the Super Nintendo Entertainment System, in the U.S. However, later in the decade, Sega suffered commercial failures such as the 32X, Sega Saturn, and Dreamcast consoles. In 2001, Sega stopped manufacturing consoles to become a third-party developer and publisher, and was acquired by Sammy Corporation in 2004. In the years since the acquisition, Sega has been more profitable, but has been criticized for prioritizing quantity of game releases over quality. Sega produces multi-million-selling game franchises including Sonic the Hedgehog, Total War, and Yakuza, and is the world's most prolific arcade game producer. It also operates amusement arcades and produces other entertainment products, including Sega Toys. Sega is a subsidiary of Sega Sammy Holdings, a corporate conglomerate with over 60 individual subsidiaries. 2.1 Subsidiaries of Sega Holdings Co., Ltd. In 1940, American businessmen Martin Bromley, Irving Bromberg, and James Humpert formed Standard Games in Honolulu, Hawaii, to provide coin-operated amusement machines to military bases. They saw that the increase in military personnel with the onset of World War II would create demand for entertainment at military bases. After the war, the founders sold Standard Games and established a new distributor, Service Games, named for the military focus. In 1951, the United States government outlawed slot machines in US territories, so in 1952 Bromley sent two employees, Richard Stewart and Ray LeMaire, to Tokyo to establish a new distributor. The company provided coin-operated slot machines to U.S. bases in Japan, and by 1953 had changed its name to Service Games of Japan. The name Sega, an abbreviation of Service Games, was first used in 1954 on the Diamond Star Machine, a slot machine. On May 31, 1960, Service Games of Japan was dissolved. On June 3, Bromley established two companies to take over its business activities: Nihon Goraku Bussan and Nihon Kikai Seizō. [f] Kikai Seizō focused on manufacturing Sega machines, while Goraku Bussan served as a distributor and operator of coin-operated machines, particularly jukeboxes. The two companies merged in 1964. In 1954, David Rosen, an American officer in the United States Air Force stationed in Japan, launched a two-minute photo booth business in Tokyo. This company became Rosen Enterprises, and in 1957 began importing coin-operated games to Japan. In 1965, Nihon Goraku Bussan acquired Rosen Enterprise to form Sega Enterprises, Ltd. Rosen was installed as the CEO and managing director. Shortly afterward, Sega stopped leasing to military bases and moved its focus from slot machines to become a publicly traded company of coin-operated amusement machines. Its imports included Rock-Ola jukeboxes, pinball games by Williams, and gun games by Midway Manufacturing. Because Sega imported second-hand machines that frequently required maintenance, Sega began the transition from importer to manufacturer by constructing replacement guns and flippers for its imported games. According to former Sega director Akira Nagai, this led to Sega developing their own games as well. The first electromechanical game Sega manufactured was the submarine simulator game Periscope, released worldwide in the late 1960s. The game sported light and sound effects considered innovative, and was successful in Japan. It was exported to Europe and the United States and placed in malls and department stores. It cost 25 cents per play in the United States, helping standardize the price. Sega was surprised by the success, and for the next two years produced and exported between eight and ten games per year. Despite this, rampant piracy in the industry would eventually lead to Sega stepping away from exporting its games. In order to advance the company, Rosen had a goal to take the company public, and decided this would be easier to accomplish in the United States than in Japan. Rosen was advised that this would be easiest accomplished by Sega being acquired by a larger company. In 1969, Sega was sold to American conglomerate Gulf and Western Industries, although Rosen remained CEO following the sale. Rosen continued to develop his relationship with Gulf and Western chairman Charles Bluhdorn, and in 1974 Gulf and Western made Sega Enterprises, Ltd. a subsidiary of an American company renamed Sega Enterprises, Inc. Sega released Pong-Tron, its first video-based game, in 1973. Despite late competition from Taito's hit arcade game Space Invaders in 1978, Sega prospered from the arcade game boom of the late 1970s, with revenues climbing to over US$100 million by 1979. During this period, Sega acquired Gremlin Industries, a manufacturer of microprocessor-based arcade games. In 1979, Sega also acquired Esco Boueki (Esco Trading), founded and owned by Hayao Nakayama. This brought Nakayama into the company, where he was placed in charge of Sega's Japanese operations. In the early 1980s, Sega was one of the top five arcade game manufacturers active in the United States, as company revenues rose to $214 million. 1979 saw the release of Head On, which introduced the "eat the dots" gameplay Namco later used in Pac-Man. In 1981, Sega licensed and released Frogger, its most successful game until then. In 1982, Sega introduced the first game with isometric graphics, Zaxxon. A downturn in the arcade business starting in 1982 seriously hurt Sega, leading Gulf and Western to sell its North American arcade manufacturing organization and the licensing rights for its arcade games to Bally Manufacturing. The company retained Sega's North American R&D operation and its Japanese subsidiary, Sega Enterprises, Ltd. With its arcade business in decline, Sega Enterprises, Ltd. president Nakayama advocated that the company leverage its hardware expertise to move into the home console market in Japan, which was in its infancy at the time. This led to Sega's development of a computer, the SC-3000. Upon finding out that Nintendo was developing a games-only console, Sega developed and release its first home video game system, the SG-1000, alongside the SC-3000. Rebranded versions were released in several other markets worldwide. Due in part to the SG-1000's steadier stream of releases, and to a recall on Famicom units by primary competitor Nintendo, the SG-1000 sold 160,000 units in 1983, far exceeding Sega's projection of 50,000 in the first year. However, by 1984 the Famicom began to outpace the SG-1000, in part because Nintendo boosted its games library by courting third-party developers, whereas Sega was hesitant to collaborate with companies they were competing with in arcades. Shortly after the launch of the SG-1000, and the death of company founder Charles Bludhorn, Gulf and Western began to divest its secondary businesses, so Nakayama and Rosen arranged a management buyout of the Japanese subsidiary in 1984 with financial backing from CSK Corporation, a prominent Japanese software company. Sega's Japanese assets were purchased for $38 million by a group of investors led by Rosen and Nakayama. Isao Okawa, chairman of CSK, became chairman, while Nakayama was installed as CEO of Sega Enterprises, Ltd.
Sega began working on the Mark III in Japan in 1985. The Mark III was a redesigned iteration of the SG-100, engineered by the same team. For its North America release, Sega rebranded the Mark III as the Master System, with a futuristic design intended to appeal to Western tastes. The Mark III was released in Japan in October 1985 at a price of ¥15,000. Despite featuring more powerful hardware than the Famicom, the Mark III was unsuccessful at launch. As Nintendo required third-party developers not to publish their Famicom games on other consoles, Sega developed its own games and obtained the rights to port games from other developers, but they did not sell well. Sales of the Master System in the United States were handicapped by ineffective marketing by Tonka, who marketed the console there on Sega's behalf. By early 1992, production had ceased in North America, having sold between 1.5 million and 2 million units, behind Nintendo and Atari, which controlled 80 percent and 12 percent of the market respectively. However, the Master System was eventually a success in Europe, where it outsold the NES by a considerable margin. As late as 1993, the Master System's active installed user base in Europe was 6.25 million units. The Master System has had continued success in Brazil, where new versions continue to be released, distributed by Sega's partner in the region, Tectoy. By 2016, the Master System had sold 8 million units in Brazil. Its continuing success there makes the Master System the longest-lived console in history. Sega released the Master System's successor, the Mega Drive, in Japan on October 29, 1988, though the launch was overshadowed by Nintendo's release of Super Mario Bros. 3 a week earlier. Positive coverage from magazines Famitsu and Beep! helped establish a following, but Sega only shipped 400,000 units in the first year. The Mega Drive could not overtake the venerable Famicom and remained a distant third in Japan behind Nintendo's Super Famicom and NEC's PC Engine throughout the 16-bit era. For the console's launch in North America, where the console was renamed Genesis, Sega had no North American sales and marketing organization. After Atari declined an offer to market the console in the region, Sega launched the console through its own Sega of America subsidiary. Genesis was launched in a limited number of markets on August 14, 1989, and in the rest of North America later that year. The European version of the Mega Drive was released in September 1990. For the North American market, where the console was renamed Genesis, former Atari executive and new Sega of America CEO Michael Katz developed a two-part approach to build sales. The first part involved a marketing campaign to challenge Nintendo head-on and emphasize the more arcade-like experience available on the Genesis, with slogans including "Genesis does what Nintendon't". Since Nintendo owned the console rights to most arcade games of the time, the second part involved creating a library of recognizable games which used the names and likenesses of celebrities and athletes. Nonetheless, Sega had difficulty overcoming Nintendo's ubiquity in homes. Tasked by Nakayama to sell one million units in the first year, Katz and Sega of America sold only 500,000. As Sega sought a flagship series to compete with Nintendo's Mario series, they decided that a new company mascot character was needed as Alex Kidd, who served as the company's mascot during the late 1980s, failed to catch on with the public. One of the company's artists, Naoto Ohshima, designed a number of mockup designs as a result, eventually settling on a hedgehog with red shoes that he called "Mr. Needlemouse". This character was later renamed Sonic the Hedgehog, leading the creating one of the best-selling video game franchises in history. The gameplay of Sonic the Hedgehog originated with a tech demo created by Yuji Naka, who had developed an algorithm that allowed a sprite to move smoothly on a curve by determining its position with a dot matrix. Naka's prototype was a platform game that involved a fast-moving character rolling in a ball through a long winding tube; this concept was fleshed out with Ohshima's character design and levels conceived by designer Hirokazu Yasuhara. Sonic's blue color was chosen to match Sega's cobalt blue logo. His shoes were inspired by Michael Jackson's boots, and his personality by Bill Clinton's "can-do" attitude. In mid-1990, Nakayama hired Tom Kalinske to replace Katz as CEO of Sega of America. Although Kalinske knew little about the video game market, he surrounded himself with industry-savvy advisors. A believer in the razor and blades business model, he developed a four-point plan: cut the price of the console, create a U.S.-based team to develop games targeted at the American market, expand the aggressive advertising campaigns, and replace the bundled game Altered Beast with Sonic the Hedgehog. The Japanese board of directors disapproved of the plan, but it was approved by Nakayama, who told Kalinske, "I hired you to make the decisions for Europe and the Americas, so go ahead and do it." Magazines praised Sonic as one of the greatest games made, and Sega's console finally became successful. In large part due to the popularity of Sonic the Hedgehog, the Sega Genesis outsold its main competitor, the Super Nintendo Entertainment System, in the United States nearly two to one during the 1991 holiday season. By January 1992, Sega controlled 65% of the 16-bit console market, making it the first time Nintendo was not the console leader since 1985. Sega outsold Nintendo four Christmas seasons in a row due to the Genesis' head start, lower price, and a larger library of games when compared to the Super Nintendo at its release. In 1990, Sega launched the Game Gear, a handheld console, to compete against Nintendo's Game Boy. The console was designed as a portable version of the Master System, and featured more powerful systems than the Game Boy, including a full-color screen, in contrast to the monochrome Game Boy screen. However, due to its short battery life, lack of original games, and weak support from Sega, the Game Gear did not surpass the Game Boy, selling approximately 11 million units. Sega launched the Mega-CD in Japan on December 1, 1991, initially retailing at JP¥49,800. In North America, it was renamed the Sega CD and launched on October 15, 1992, with a retail price of US$299. It was released in Europe as the Mega-CD in 1993. The add-on greatly expanded the potential size of Genesis games and upgraded the graphics and sound capabilities with a second, faster processor, vastly expanded system memory, a graphics chip that performed scaling and rotation similar to Sega's arcade games, and an additional sound chip. The Mega-CD sold only 100,000 units during its first year in Japan, falling well below expectations. However, Sega had success with arcade games; in 1992 and 1993, the new Sega Model 1 arcade system board showcased Sega AM2's Virtua Racing and Virtua Fighter (the first 3D fighting game), which played a crucial role in popularizing 3D polygonal graphics. In January 1994, Sega began to develop an add-on for the Genesis, the 32X, which would serve as a less expensive entry into the 32-bit era. The decision was made by Nakayama and widely supported by Sega of America employees. The 32X would not be compatible with the Saturn, but Sega executive Richard Brudvik-Lindner pointed out that the 32X would play Genesis games. Sega released the 32X on November 21, 1994 in North America, December 3, 1994 in Japan, and January 1995 in PAL territories, and was sold at less than half of the Saturn's launch price. After the holiday season, however, interest in the 32X rapidly declined. Sega released the Sega Saturn in Japan on November 22, 1994, at ¥44,800. Virtua Fighter, a faithful port of the popular arcade game, sold at a nearly one-to-one ratio with the Saturn console at launch and was crucial to the system's early success in Japan. Sega's initial shipment of 200,000 Saturn units sold out on the first day, and was more popular than the PlayStation in Japan. In March 1995, Sega of America CEO Tom Kalinske announced that the Saturn would be released in the U.S. on "Saturnday" (Saturday) September 2, 1995. However, Sega of Japan mandated an early launch to give the Saturn an advantage over the PlayStation. At the first Electronic Entertainment Expo (E3) in Los Angeles on May 11, 1995, Kalinske gave a keynote presentation in which he revealed the release price of US$399 (including a copy of Virtua Fighter) and described the features of the console. Kalinske also revealed that Sega had shipped 30,000 Saturns to Toys "R" Us, Babbage's, Electronics Boutique, and Software Etc. for immediate release. The Saturn's release in Europe also came before the previously announced North American date, on July 8, 1995, at a price of ₤399.99. Within two days of the PlayStation's American launch on September 9, 1995, the PlayStation sold more units than the Saturn had in the five months following its surprise launch. Within its first year, the PlayStation secured over 20% of the U.S. video game market. Sega also underestimated the continued popularity of the Genesis; sales of 16-bit games and consoles accounted for 64% of the market in 1995. Despite capturing 43% of the dollar share of the U.S. market and selling more than 2 million Genesis units in 1995, Kalinske estimated that Sega could have sold another 300,000 if they had been prepared for the demand. Due to long-standing disagreements with Sega of Japan, Kalinske lost interest in his work as CEO of Sega of America. On July 16, 1996, Sega announced that Shoichiro Irimajiri had been appointed chairman and CEO of Sega of America, while Kalinske would leave Sega after September 30 of that year. A former Honda executive, Irimajiri had been involved with Sega of America since joining Sega in 1993. Sega also announced that David Rosen and Nakayama had resigned from their positions as chairman and co-chairman of Sega of America, though both remained with the company. Bernie Stolar, a former executive at Sony Computer Entertainment of America, was named Sega of America's executive vice president in charge of product development and third-party relations. Stolar was not supportive of the Saturn, believing its hardware was poorly designed, and publicly announced at E3 1997 that "The Saturn is not our future." While Stolar had "no interest in lying to people" about the Saturn's prospects, he continued to emphasize quality games for the system, and later reflected that "we tried to wind it down as cleanly as we could for the consumer". At Sony, Stolar had opposed the localization of certain Japanese PlayStation games that he felt would not represent the system well in North America, and advocated a similar policy for the Saturn during his time at Sega, although he later sought to distance himself from this perception. These changes were accompanied by a softer image in Sega's advertising, including removing the "Sega!" scream and holding press events for the education industry. In January 1997, Sega announced plans to merge with the Japanese toymaker Bandai. The merger, planned as a $1 billion stock swap whereby Sega would wholly acquire Bandai, was set to form a company known as Sega Bandai, Ltd. Though it was to be finalized in October of that year, it was called off in May after growing opposition from Bandai's midlevel executives. Bandai instead agreed to a business alliance with Sega. As a result of Sega's deteriorating financial situation, Nakayama resigned as president of Sega in January 1998 in favor of Irimajiri. Nakayama's resignation may have in part been due to the failure of the merger, as well as Sega's 1997 performance. Stolar acceded to become CEO and president of Sega of America. The Saturn failed to take the lead in the market as the Genesis had. After the launch of the Nintendo 64 in 1996, sales of the Saturn and its games fell sharply, while the PlayStation outsold the Saturn by three-to-one in the U.S. in 1997. Following five years of generally declining profits, in the fiscal year ending March 31, 1998, Sega suffered its first parent and consolidated financial losses since its 1988 listing on the Tokyo Stock Exchange. Shortly before announcing the losses, Sega announced that it was discontinuing the Saturn in North America to prepare for the launch of its successor. The Saturn lasted longer in Japan and Europe. The decision to abandon the Saturn effectively left the Western market without Sega games for over one year. Sega suffered an additional ¥42.881 billion consolidated net loss in the fiscal year ending March 1999, and announced plans to eliminate 1,000 jobs, nearly a quarter of its workforce. With lifetime sales of 9.26 million units, the Saturn is considered a commercial failure, although its install base in Japan surpassed the Nintendo 64's 5.54 million. Despite taking massive losses on the Saturn, including a 75 percent drop in half-year profits just before the Japanese launch of the Dreamcast, Sega felt confident about its new system. The Dreamcast attracted significant interest and drew many pre-orders. Sega announced that Sonic Adventure, the next game starring company mascot Sonic the Hedgehog, would arrive in time for the Dreamcast launch and promoted the game with a large-scale public demonstration at the Tokyo Kokusai Forum Hall. However, Sega could not achieve its shipping goals for the Dreamcast's Japanese launch due to a shortage of PowerVR chipsets caused by a high failure rate in the manufacturing process. As more than half of its limited stock had been pre-ordered, Sega stopped pre-orders in Japan. On November 27, 1998, the Dreamcast launched in Japan at a price of JP¥29,000, and the entire stock sold out by the end of the day. Sega estimated that an additional 200,000 to 300,000 Dreamcast units could have been sold with sufficient supply. Irimajiri hoped to sell over 1 million Dreamcast units in Japan by February 1999, but less than 900,000 were sold, undermining Sega's attempts to build up a sufficient installed base to ensure the Dreamcast's survival after the arrival of competition from other manufacturers. Prior to the Western launch, Sega reduced the price of the Dreamcast to JP¥19,900, effectively making the hardware unprofitable but increasing sales. On August 11, Sega of America confirmed that Stolar had been fired, leaving Moore to direct the launch. The Dreamcast launched in North America on September 9, 1999 at a price of $199, which Sega dubbed "9/9/99 for $199". Eighteen launch games were available in the U.S. Sega set a record by selling more than 225,132 Dreamcast units in 24 hours, earning $98.4 million in what Moore called "the biggest 24 hours in entertainment retail history". Within two weeks, U.S. Dreamcast sales exceeded 500,000. By Christmas, Sega held 31 percent of the North American video game market. On November 4, Sega announced it had sold over one million Dreamcast units. Nevertheless, the launch was marred by a glitch at one of Sega's manufacturing plants, which produced defective GD-ROMs. Sega released the Dreamcast in Europe on October 14, 1999, at £200. While Sega sold 500,000 units in Europe by Christmas 1999, sales did not continue at this pace, and by October 2000, Sega had sold only about 1 million units in Europe. Though the Dreamcast launch had been successful, Sony still held 60 percent of the overall market share in North America with the PlayStation at the end of 1999. On March 2, 1999, in what one report called a "highly publicized, vaporware-like announcement", Sony revealed the first details of its "next generation PlayStation", which Ken Kutaragi claimed would allow video games to convey unprecedented emotions. The same year, Nintendo announced that its next generation console would meet or exceed anything on the market, and Microsoft began development of its own console, the Xbox. Sega's initial momentum proved fleeting as U.S. Dreamcast sales—which exceeded 1.5 million by the end of 1999—began to decline as early as January 2000. Poor Japanese sales contributed to Sega's ¥42.88 billion ($404 million) consolidated net loss in the fiscal year ending March 2000, which followed a similar loss of ¥42.881 billion the previous year and marked Sega's third consecutive annual loss. Although Sega's overall sales for the term increased 27.4%, and Dreamcast sales in North America and Europe greatly exceeded the company's expectations, this increase coincided with a decrease in profitability due to the investments required to launch the Dreamcast in Western markets and poor software sales in Japan. At the same time, increasingly poor market conditions reduced the profitability of Sega's Japanese arcade business, prompting the company to close 246 locations. Moore stated that the Dreamcast would need to sell 5 million units in the U.S. by the end of 2000 to remain a viable platform, but Sega fell short of this goal with some 3 million units sold. Moreover, Sega's attempts to spur Dreamcast sales through lower prices and cash rebates caused escalating financial losses. In March 2001, Sega posted a consolidated net loss of ¥51.7 billion ($417.5 million). While the PS2's October 26 U.S. launch was marred by shortages, this did not benefit the Dreamcast as much as expected, as many disappointed consumers continued to wait for a PS2. The PSone, a remodeled version of the original PlayStation, was the best-selling console in the U.S. at the start of the 2000 holiday season. Eventually, Sony and Nintendo held 50 and 35 percent of the US video game market respectively, while Sega held only 15 percent. In late 1999, Sega Enterprises chairman Isao Okawa said at an Okawa Foundation meeting that Sega's focus would shift from hardware to software, but added that they were still fully behind the Dreamcast. On November 1, 2000, Sega changed its company name from Sega Enterprises to Sega Corporation. On May 22, 2000, Okawa replaced Irimajiri as president of Sega. Okawa had long advocated that Sega abandon the console business. His sentiments were not unique; Sega co-founder David Rosen had "always felt it was a bit of a folly for them to be limiting their potential to Sega hardware", and Stolar had suggested that Sega should have sold their company to Microsoft. In September 2000, in a meeting with Sega's Japanese executives and the heads of the company's major Japanese game development studios, Moore and Bellfield recommended that Sega abandon its console business and focus on software, prompting the studio heads to walk out. On January 23, 2001, Nihon Keizai Shimbun reported that Sega would cease production of the Dreamcast and develop software for other platforms. After an initial denial, Sega of Japan released a press release confirming they were considering producing software for the PlayStation 2 and Game Boy Advance as part of their "new management policy". On January 31, 2001, Sega announced the discontinuation of the Dreamcast after March 31 and the restructuring of the company as a "platform-agnostic" third-party developer. The decision was Moore's. Sega also announced a Dreamcast price reduction to $99 to eliminate its unsold inventory, estimated at 930,000 units as of April 2001. After a further reduction to $79, the Dreamcast was cleared out of stores at $49.95. The final Dreamcast unit manufactured was autographed by the heads of all nine of Sega's internal game development studios as well as the heads of Visual Concepts and Wave Master and given away with 55 first-party Dreamcast games through a competition organized by GamePro magazine. Okawa, who had loaned Sega $500 million in 1999, died on March 16, 2001; shortly before his death, he forgave Sega's debts to him and returned his $695 million worth of Sega and CSK stock, helping the company survive the third-party transition. He also talked to Microsoft about a sale or merger with their Xbox division, but those talks failed. As part of the restructuring, nearly one third of Sega's Tokyo workforce was laid off in 2001. 2002 was Sega's fifth consecutive fiscal year of net losses. After Okawa's death, Hideki Sato became president of Sega. Sato, a 30-year veteran of Sega, had previously developed Sega's video game consoles. Because of poor sales in 2002, Sega was forced to cut its profit forecast by 90% for 2003. As a result, Sega began to look at opportunities for a merger to fix its financial situation. In 2003, Sega began talks with Sammy Corporation and Namco. Sato stated that he would select the partner that fit the business best. Sega made an announcement on February 13, 2003, of its decision to merge with Sammy. However, as late as April 17 of the same year, Sega was still in talks with Namco, which was attempting to overturn the merger and went public with its offer to be acquired. Sega's consideration of Namco's offer upset executives of Sammy. However, the day after Sega announced it was no longer planning to merge with Sammy, Namco withdrew its offer. Though Namco expressed that it would be willing to work with Sega on a future deal, Sega expressed it was not interested. Due to the failure to complete a merger, Sato was forced to step down. In 2003, he and COO Tetsu Kamaya announced they were stepping down from their roles, with Sato being replaced by Hisao Oguchi, the head of Hitmaker. In August 2003, Sammy, one of the biggest pachinko and pachislot manufacturing companies, bought 22.4% of Sega's shares from CSK. In the same year, Sammy primary owner Hajime Satomi stated that Sega's activity would focus on their profitable arcade business as opposed to their loss-incurring home software development. In 2004, Sammy completed a takeover by purchasing a controlling share in Sega Corporation for $1.1 billion. Sega Sammy Holdings, an entertainment conglomerate, was created. Sega and Sammy became subsidiaries of Sega Sammy Holdings, with both companies operating independently, while the executive departments merged. According to the first Sega Sammy Annual Report, the merger went ahead as both companies were facing difficulties. Satomi stated that Sega had been operating at a loss for nearly 10 years, while Sammy feared stagnation and overreliance of its highly profitable pachislot and pachinko machine business, and wanted to diversify. Sega Sammy Holdings was structured into four parts: Consumer Business (video games), Amusement Machine Business (arcade games), Amusement Center Business (Sega's theme parks and arcades) and Pachislot and Pachinko Business (Sammy's pachinko and pachislot business). In the console and handheld business, Sega found success with games targeted at the Japanese market such as the Yakuza and Hatsune Miku: Project DIVA series. In Japan, Sega distributes games from smaller Japanese game developers and localizations of Western games. During 2003, Sega had plans of broadening its franchises to Hollywood co-operating with John Woo, but plans fell through. In amusement arcades, Sega's most successful games, such as Sangokushi Taisen and Border Break, continued to be based on network and card systems. Arcade machine sales incurred higher profits than their console, portable, and PC games on a year-to-year basis until the 2010s. In 2004, the GameWorks chain of arcades came under Sega ownership, until it was sold in 2011. In 2009, Sega Republic, an indoor theme park, opened in Dubai. The next year, Sega began providing the 3D imaging for Hatsune Miku's holographic concerts. In 2013, Index Corporation was purchased by Sega Sammy after going bankrupt. After the buyout, Sega implemented a corporate spin-off with Index, and rebranded its game assets as Atlus, a wholly owned subsidiary of Sega. Due to the decline of packaged game sales worldwide in the 2010s, Sega began layoffs and reduction of their Western businesses; for example, it closed five offices based in Europe and Australia on July 1, 2012. This was to focus on the digital game market, such as PC and mobile devices. The amount of SKU gradually shrunk from 84 in 2005 to 32 in 2014. Because of the shrinking arcade business in Japan, development personnel were also relocated to digital games. Sega gradually reduced its arcade centers from 450 in 2005 to around 200 in 2015. In the mobile market, Sega released its first app on the iTunes Store with a version of Super Monkey Ball in 2008. Since then, the strategies for Asian and Western markets have become independent. The Western lineup consisted of emulations of games and pay-to-play apps, which were eventually overshadowed by more social and free-to-play games, leading to 19 older mobile games being pulled due to quality concerns in May 2015. In 2012, Sega also began acquiring studios for mobile development, with studios such as Hardlight, Three Rings Design, and Demiurge Studios becoming fully owned subsidiaries. In the 2010s, to streamline operations, Sega established operational firms for each of its businesses. In 2012, Sega established Sega Networks for its mobile games; and although separate at first, it merged with Sega Corporation in 2015. Sega Games was structured as a "Consumer Online Company", while Sega Networks focused on developing games for mobile devices. In 2012, Sega Entertainment was established for Sega's amusement facility business, and in 2015, Sega Interactive was established for the arcade game business. In January 2015, Sega of America announced their relocation from San Francisco to Atlus USA's headquarters in Irvine, California, which was completed later that year. Over the course of the existence of Sega Sammy Holdings to 2015, Sega's operating income generally saw improvements compared to Sega's past financial problems, but was not profitable every year of operation. In April 2015, Sega Corporation was reorganized into Sega Group, one of three groups of Sega Sammy Holdings. Sega Holdings Co., Ltd. was established, with four business sectors under its organization. Haruki Satomi, son of Hajime Satomi, took office as president and CEO of the company in April 2015. Sega Games Co., Ltd. became the legal name of Sega Corporation and continues to manage home video games, while Sega Interactive Co., Ltd. was founded to take control of the arcade division. At the Tokyo Game Show in September 2016, Sega announced that they had acquired the intellectual property and development rights to all games developed and published by Technosoft. Technosoft did not want the Technosoft brand to desist, and so handing over the intellectual properties to Sega was the only other option. Sega and Technosoft had collaborated during the Genesis/Mega Drive era. In April 2017, Sega Sammy Holdings announced that it would relocate its head office functions and domestic subsidiaries located in the Tokyo metropolitan area to Shinagawa-ku by January 2018. This was to consolidate scattered head office functions including Sega Sammy Holdings, Sammy Corporation, Sega Holdings, Sega Games, Atlus, Sammy Network, and Dartslive. Sega's previous headquarters in Ōta was sold in 2019 and will likely be torn down. In October 2017, Sega of America announced its online store, the Sega Shop. Ian Curran, a former executive at THQ and Acclaim Entertainment, replaced John Cheng as president and COO of Sega of America in August 2018. 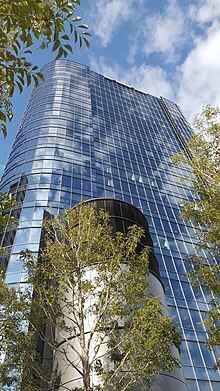 Sega's main headquarters is located in Shinagawa-ku, Tokyo, Japan, and the group operating from its headquarters is referred to as Sega of Japan. Additionally, Sega has offices in Irvine, California as Sega of America, and in London as Sega of Europe. In other regions, Sega has contracted distributors for its games and consoles, such as Tectoy in Brazil. Previously, Sega has had offices in France, Germany, Spain, and Australia. Relations between the different regional offices of Sega have not always been smooth. In the 1990s, some of this conflict may have been caused by Sega president Nakayama and his admiration for Sega of America; according to Kalinske, "There were some guys in the executive suites who really didn't like that Nakayama in particular appeared to favor the US executives. A lot of the Japanese executives were maybe a little jealous, and I think some of that played into the decisions that were made." By contrast, author Steven L. Kent wrote that Nakayama bullied American executives and that Nakayama believed the Japanese executives made the best decisions. He also stated that Kalinske, Stolar, and Moore dreaded meeting with Sega of Japan executives during their times as CEO of Sega of America. Subsidiaries of Sega Holdings Co., Ltd.
After the formation of the Sega Group structure in 2015 and the founding of Sega Holdings, the former Sega Corporation was renamed as Sega Games Co., Ltd. 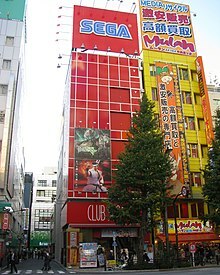 Under this structure, Sega Games is responsible for the home video game market and consumer development. Sega Games also includes Sega Networks, which handles game development for smartphones. Sega currently develops and publishes games for major video game consoles, and has not expressed interest in developing its own consoles again. According to former Sega of Europe CEO Mike Brogan, "There is no future in selling hardware. In any market, through competition, the hardware eventually becomes a commodity... If a company has to sell hardware then it should only be to leverage software, even if that means taking a hit on the hardware." Sega Interactive Co., Ltd. is the current company responsible for Sega's arcade game business. Sega Toys Co., Ltd. serves as a producer of toys. Sega Toys have created toys for children's franchises such as Oshare Majo: Love and Berry, Mushiking: King of the Beetles, Lilpri, Bakugan, Jewelpet, Rilu Rilu Fairilu, Dinosaur King and Hero Bank. Products by Sega Toys released in the West include the Homestar and the iDog. Sega Toys also inherited the Sega Pico handheld system and produced software for the console. Sega has operations of bowling alleys and arcades through its Sega Entertainment Co., Ltd. subsidiary. The company's DartsLive subsidiary is involved with the manufacture of electronic darts games, while Sega Logistics Service is focused on the distribution and repair of arcade games. In 2015, Sega and the Japanese advertising agency Hakuhodo, formed a joint venture called Stories LLC with the purpose of creating branded entertainment for film and TV. Stories LLC has exclusive licensing rights to adapt Sega properties into film and television. Properties in production reportedly include Shinobi, Golden Axe, Virtua Fighter, The House of the Dead, and Crazy Taxi. As a games publisher, Sega produces games through its research and development teams. The Sonic the Hedgehog franchise, maintained through Sega's Sonic Team division, is one of the best-selling franchises in the history of video games. Some games produced by Sega, such as those from Sega Technical Institute from 1991 to 1996, and games produced by Sega's subsidiary companies in the Dreamcast era, have been recognized for their creativity. Sega has also acquired third-party studios that are now owned by the company, including Amplitude Studios, Atlus, Creative Assembly, Demiurge Studios, Hardlight, Relic Entertainment, and Sports Interactive. Sega's software research and development teams originated with one development division operating under Sega's longtime head of R&D, Hisashi Suzuki. As the market increased for home video game consoles, Sega expanded with three Consumer Development (CS) divisions, while after October 1983, arcade development expanded to three teams: Sega DD#1, 2, and 3. Some time after the release of Power Drift, the company restructured its teams again as the Sega Amusement Machine Research and Development Teams, or AM teams. Each arcade division was segregated, and a rivalry existed between the arcade and consumer development divisions. In what has been called "a brief moment of remarkable creativity", in 2000, Sega restructured its arcade and console development teams into nine semi-autonomous studios headed by the company's top designers. Studios included United Game Artists (UGA), Hitmaker, Smilebit, Overworks, Sega AM2, and Sonic Team. Sega's design houses were encouraged to experiment and benefited from a relatively lax approval process. After taking over as company president in 2003, Hisao Oguchi announced his intention to consolidate Sega's studios. Prior to the acquisition by Sammy, Sega began the process of re-integrating its subsidiaries into the main company. Sega still operates first-party studios as departments of its research and development division. Sonic Team exists as Sega's CS2 research and development department, while Sega's CS3 department has developed games such as Phantasy Star Online 2, and Sega Interactive’s AM2 department has more recently worked on projects such as smartphone game Soul Reverse Zero. Toshihiro Nagoshi, formerly the head of Amusement Vision, continues to be involved with research and development as Sega’s chief creative officer while personally working on the Yakuza series. Sega is the world's most prolific arcade game producer, with over 500 games in over 70 franchises on more than 20 different arcade system boards since 1981. The company has been recognized by Guinness World Records for this achievement. While traditional arcades have struggled, Sega has focused on adapting to the changes in the market and licensing various franchises to release games. Of Sega's arcade division, Eurogamer's Martin Robinson said, "This isn't the Sega you know, and in all truth it's likely far removed from the Sega you once loved, but if you look hard enough you'll find glimpses of the same spirit there... On top of that, it has something that's often evaded its console-dwelling cousin: success." Of video game consoles, the Sega Genesis is often ranked among the best in history. In 2014, USgamer's Jeremy Parish wrote that the system served as "the key incubator for modern sports franchises", made "consoles truly international" by providing Western third-parties previously put at a disadvantage by Nintendo's restrictive licensing policies with a more profitable alternative, created an online subscription service that foreshadowed "PlayStation Plus more than 15 years early" with the Sega Channel, and "played a key role in ensuring the vitality and future of the games industry by breaking Nintendo's near-monopolistic hold on the U.S. and awakening the U.K. to the merits of television gaming". For his part, Kalinske highlighted Sega's role in developing games for an older demographic and pioneering "the concept of the 'street date'" with the simultaneous North American and European release of Sonic the Hedgehog 2. Sega of America's marketing campaign for the Genesis was widely emulated, influencing marketing for subsequent consoles. The Sega CD and 32X add-ons have been more negatively remembered. The Saturn, despite being a commercial failure, is well regarded for its game library, though has been criticized for not having enough high-profile franchise releases. Sega's management has been criticized for the handling of the Saturn. As a console, the Dreamcast is remembered for being ahead of its time in its innovations. Adam Redsell of IGN noted that Sega developed several concepts that have become mainstream in more modern video game consoles, such as motion controls, online functionality, and memory expansion. Writing for Eurogamer, Damien McFerran called Sega's decisions in the late 1990s "a tragic spectacle of overconfidence and woefully misguided business practice". Travis Fahs of IGN noted that since the Sammy takeover, Sega has produced less games internally and outsourced to more western studios, even when the original creators of Sega's franchises are still on staff and given no creative freedom. Fahs also pointed out that Sega's arcade operations had also been significantly reduced. Fahs praised what Sega was before the Sammy takeover, stating, "Sega was one of the most active, creative, and productive developers the industry has ever known, and nothing that can happen to their name since will change that." Ken Horowitz, in his 2018 book The Sega Arcade Revolution, connected Sega's decline in arcades after 1995 with the changes in the video game industry overall, and that the company's most serious challenges came from the loss of its creative talent, particularly Yuji Naka and Yu Suzuki, after the Sammy takeover. Horowitz did note, however that "as of this writing, Sega is in its best financial shape of the past two decades. The company has endured." In 2015, Sega Games Co., Ltd. president and CEO Haruki Satomi told Famitsu that he would shift Sega's focus to quality of releases over making schedules. Satomi acknowledged that, in the ten years previous, some of Sega's games had "partially betrayed" the trust of Sega's older fans and that he hoped to re-establish Sega as a "brand", whereas he felt the loss of trust with fans had left Sega only with "reputation". ^ Japanese: 株式会社セガゲームス, Hepburn: Kabushiki gaisha Sega Gēmusu? ^ Japanese: 株式会社セガ・エンタープライゼス, Hepburn: Kabushiki gaisha Sega Entāpuraizesu? ^ Japanese: 株式会社セガ, Hepburn: Kabushiki gaisha Sega? ^ Japanese: 日本娯楽物産株式会社, Hepburn: Nihon goraku bussan kabushiki gaisha?, Japanese Amusement Products Co., Ltd.
^ Japanese: 日本機械製造株式会社, Hepburn: Nihon kikai seizō kabushiki gaisha?, Japanese Machine Manufacturers Co., Ltd.
^ a b c d e f g h i j k l m n Fahs, Travis (April 21, 2009). "IGN Presents the History of SEGA". IGN. Ziff Davis. Archived from the original on August 24, 2012. Retrieved July 29, 2015. ^ Plunkett, Luke (April 4, 2011). "Meet the four Americans who built Sega". Kotaku. Gawker Media. Archived from the original on July 26, 2015. Retrieved August 1, 2015. ^ "IBM turns 100: other surprisingly ancient technology companies". The Guardian. Scott Trust Limited. Archived from the original on September 26, 2015. Retrieved August 1, 2015. ^ Sànchez-Crespo Delmau, Daniel (2004). Core Techniques and Algorithms in Game Programming. New Riders. p. 3. ISBN 9780131020092. Archived from the original on November 23, 2015. Retrieved August 2, 2015. ^ Kent, Steven L. (2001). The Ultimate History of Video Games: The Story Behind the Craze that Touched our Lives and Changed the World. Roseville, California: Prima Publishing. p. 331. ISBN 0-7615-3643-4. ^ a b c Horowitz, Ken (2018). The Sega Arcade Revolution, A History in 62 Games. McFarland & Company. p. 6. ISBN 9781476631967. ^ "Sammy Corporation and SEGA Corporation Announce Business Combination: SEGA SAMMY HOLDINGS INC. - Business Wire". Business Wire. Berkshire Hathaway. May 19, 2004. Archived from the original on April 26, 2016. Retrieved April 12, 2016. ^ a b c Sega Arcade History (in Japanese). Tokyo: Enterbrain. 2002. ISBN 9784757707900. Archived from the original on September 11, 2018. Retrieved September 11, 2018 – via Shmuplations. ^ a b Pollack, Andrew (July 3, 1993). "Sega Takes Aim at Disney's World". The New York Times. The New York Times Company. Archived from the original on May 26, 2015. Retrieved May 7, 2015. ^ Brandt, Richard; Gross, Neil (February 1994). "Sega!". Businessweek. Archived from the original on December 3, 2013. Retrieved October 10, 2013. ^ a b c Marley, Scott (December 2016). "SG-1000". Retro Gamer. No. 163. Future Publishing. pp. 56–61. ^ Plunkett, Luke (January 19, 2017). "The Story of Sega's First Console, Which Was Not The Master System". Kotaku. Gizmodo Media Group. Archived from the original on March 6, 2017. Retrieved March 3, 2017. ^ Marley, Scott (December 2016). "The Rare Jewels from Taiwan...". Retro Gamer. No. 163. Future Publishing. p. 61. ^ Kent 2001, p. 343. ^ a b Kent 2001, p. 494. ^ a b c McFerran, Damien. "Retroinspection: Master System". Retro Gamer. No. 44. London, UK: Imagine Publishing. pp. 48–53. ISSN 1742-3155. ^ a b Parkin, Simon (June 2, 2014). "A history of video game hardware: Sega Master System". Edge. Future plc. Archived from the original on June 5, 2014. Retrieved September 13, 2014. ^ "Bruce Lowry: The Man That Sold the NES". Game Informer. Vol. 12 no. 110. GameStop. June 2002. pp. 102–103. ^ "Mark III" (in Japanese). Sega Corporation. Archived from the original on July 16, 2014. Retrieved March 31, 2014. ^ Williams, Mike (November 21, 2013). "Next Gen Graphics, Part 1: NES, Master System, Genesis, and Super NES". USgamer. Gamer Network. Archived from the original on May 22, 2015. Retrieved May 7, 2015. ^ Sheff, David (1993). Game Over (1st ed.). New York, New York: Random House. p. 349. ISBN 0-679-40469-4. Retrieved January 16, 2012. ^ a b "Sega Consoles: Active installed base estimates". Screen Digest. Screen Digest Ltd. March 1995. p. 60. ^ Azevedo, Théo (May 12, 2016). "Console em produção há mais tempo, Master System já vendeu 8 mi no Brasil". Universo Online (in Portuguese). Grupo Folha. Archived from the original on May 14, 2016. Retrieved May 13, 2016. Comercializado no Brasil desde setembro de 1989, o saudoso Master System já vendeu mais de 8 milhões de unidades no país, segundo a Tectoy. ^ a b c d Sczepaniak, John (August 2006). "Retroinspection: Mega Drive". Retro Gamer. No. 27. Imagine Publishing. pp. 42–47. Archived from the original on September 24, 2015 – via Sega-16. ^ Horowitz, Ken (April 28, 2006). "Interview: Michael Katz". Sega-16.com. Archived from the original on May 9, 2015. Retrieved May 7, 2015. ^ Plunkett, Luke. "Remembering Sega's Exiled Mascot". Kotaku. Archived from the original on February 25, 2019. Retrieved February 24, 2019. ^ a b Harris, Blake (2014). Console Wars: Sega, Nintendo, and the Battle that Defined a Generation. It Books. pp. 63–76. ISBN 0062276697. ^ Buchanan, Levi (October 9, 2008). "Remember Game Gear?". IGN. Archived from the original on June 23, 2018. Retrieved March 29, 2009. ^ Roberto Dillon (April 19, 2016). The Golden Age of Video Games: The Birth of a Multibillion Dollar Industry. CRC Press. pp. 165–. ISBN 978-1-4398-7324-3. Archived from the original on October 24, 2018. Retrieved April 29, 2018. ^ "Virtua Racing – Arcade (1992)". GameSpot. 2001. Archived from the original on April 12, 2010. Retrieved June 6, 2014. cf. Feit, Daniel (September 5, 2012). "How Virtua Fighter Saved PlayStation's Bacon". Wired. Archived from the original on October 14, 2014. Retrieved October 9, 2014. Ryoji Akagawa: If it wasn't for Virtua Fighter, the PlayStation probably would have had a completely different hardware concept. cf. Thomason, Steve (July 2006). "The Man Behind the Legend". Nintendo Power. Vol. 19 no. 205. p. 72. Toby Gard: It became clear to me watching people play Virtua Fighter, which was kind of the first big 3D-character console game, that even though there were only two female characters in the lineup, in almost every game I saw being played, someone was picking one of the two females. ^ a b McFerran, Damien (2010). "Retroinspection: Sega 32X". Retro Gamer. No. 77. pp. 44–49. Scot Bayless: The 32X call was made in early January  ... There's a part of me that wishes the Saturn had adopted the 32X graphics strategy, but that ship had sailed long before the greenlight call from Nakayama. ^ Buchanan, Levi (October 24, 2008). "32X Follies". IGN. Archived from the original on April 17, 2016. Retrieved May 25, 2013. ^ "Super 32X" (in Japanese). Sega Corporation. Archived from the original on July 16, 2014. Retrieved February 23, 2014. ^ Beuscher, David. "Sega Genesis 32X – Overview". Allgame. Archived from the original on December 10, 2014. Retrieved December 13, 2014. ^ "Sega Saturn" (in Japanese). Sega Corporation. Archived from the original on July 16, 2014. Retrieved March 3, 2014. ^ a b c "Sega and Sony Sell the Dream". Edge. Vol. 3 no. 17. February 1995. pp. 6–9. ^ Kent 2001, p. 502. ^ a b Kent 2001, p. 516. ^ "Let the games begin: Sega Saturn hits retail shelves across the nation Sept. 2; Japanese sales already put Sega on top of the charts". Business Wire. March 9, 1995. Archived from the original on October 25, 2014. Retrieved December 24, 2014. ^ "Sega Saturn launch takes consumers and retailers by storm; retailers struggling to keep up with consumer demand". Business Wire. May 19, 1995. Archived from the original on October 25, 2016. Retrieved October 24, 2016. ^ a b c McFerran, Damien. "Retroinspection: Sega Saturn". Retro Gamer. No. 34. pp. 44–49. ^ "History of the PlayStation". IGN. Ziff Davis. August 27, 1998. Archived from the original on February 18, 2012. Retrieved November 16, 2014. ^ Kent 2001, p. 531. ^ Gallagher, Scott; Park, Seung Ho (February 2002). "Innovation and Competition in Standard-Based Industries: A Historical Analysis of the U.S. Home Video Game Market". IEEE Transactions on Engineering Management. 49 (1): 67–82. ^ "Sega captures dollar share of videogame market again; diverse product strategy yields market growth; Sega charts path for 1996". Business Wire. January 10, 1996. Archived from the original on May 2, 2014. Retrieved December 24, 2014. Estimated dollar share for Sega-branded interactive entertainment hardware and software in 1995 was 43 percent, compared with Nintendo at 42 percent, Sony at 13 percent and The 3DO Co. at 2 percent. Sega estimates the North American videogame market will total more than $3.9 billion for 1995. ^ Dring, Christopher (July 7, 2013). "A Tale of Two E3s – Xbox vs Sony vs Sega". MCVUK.com. Archived from the original on October 23, 2014. Retrieved March 19, 2014. ^ a b "Kalinske Out – WORLD EXCLUSIVE". Next Generation. July 16, 1996. Archived from the original on December 20, 1996. Retrieved May 6, 2014. ^ a b Stephanie Strom (March 14, 1998). "Sega Enterprises Pulls Its Saturn Video Console From the U.S. Market". The New York Times. Archived from the original on April 30, 2013. Retrieved December 7, 2014. ^ a b Kent 2001, p. 559. ^ "NEWSFLASH: Sega Planning Drastic Management Reshuffle – World Exclusive". Next Generation. July 13, 1996. Archived from the original on December 20, 1996. Retrieved May 6, 2014. ^ a b c d e Kent 2001, p. 558. ^ Kent 2001, p. 506. ^ Johnston, Chris (July 15, 1998). "Stolar Talks Dreamcast". GameSpot. CNET. Archived from the original on July 10, 2017. Retrieved December 17, 2014. ^ Plunkett, Luke (August 9, 2011). "When Sega Wanted to Take Over the World (and Failed Miserably)". Kotaku. Gawker Media. Archived from the original on November 23, 2018. Retrieved January 16, 2019. ^ Pollack, Andrew (January 24, 1997). "Sega to Acquire Bandai, Creating Toy-Video Giant". The New York Times. Archived from the original on January 17, 2019. Retrieved January 16, 2019. ^ "Bandai Calls Off Planned Merger with Sega". Wired. May 28, 1997. Retrieved January 16, 2019. ^ Stephanie Strom (March 14, 1998). "Sega Enterprises Pulls Its Saturn Video Console From the U.S. Market". The New York Times. Archived from the original on April 30, 2013. Retrieved December 7, 2014. ^ "Sega President Leaving?". GameSpot. April 28, 2000. Archived from the original on January 17, 2019. Retrieved January 16, 2019. ^ Feldman, Curt (April 22, 1998). "Katana Strategy Still on Back Burner". GameSpot. Archived from the original on July 5, 2017. Retrieved December 9, 2014. ^ "Sega Enterprises Annual Report 1998" (PDF). Sega Enterprises, Ltd. pp. 1, 7–8. Archived from the original (PDF) on May 4, 2004. Retrieved December 7, 2014. ^ "Sega News From Japan". GameSpot. CNET. March 18, 1998. Archived from the original on July 5, 2017. Retrieved December 7, 2014. ^ a b c d e Fahs, Travis (September 9, 2010). "IGN Presents the History of Dreamcast". IGN. Ziff Davis. Archived from the original on September 28, 2014. Retrieved December 24, 2014. ^ King, Sharon R. (July 12, 1999). "TECHNOLOGY; Sega Is Giving New Product Special Push". The New York Times. Archived from the original on December 25, 2014. Retrieved December 24, 2014. ^ a b c d e f McFerran, Damien. "Retroinspection: Dreamcast". Retro Gamer. No. 50. Imagine Publishing. pp. 66–72. Archived from the original on March 4, 2016. ^ Obuchi, Yutaka (July 16, 1998). "Sonic Onboard Dreamcast". GameSpot. CNET. Archived from the original on July 5, 2017. Retrieved December 9, 2014. ^ "News: Sonic's Back!". Sega Saturn Magazine. Vol. 4 no. 36. EMAP. October 1998. pp. 6–8. On Saturday, August 22nd at the Tokyo International Forum, Sega showed the future of computer gaming to a 15,000 strong crowd—and they weren't disappointed. ^ Kennedy, Sam (August 12, 1999). "A Post-Bernie Sega Speaks". GameSpot. Archived from the original on July 5, 2017. Retrieved December 17, 2014. ^ Kent 2001, pp. 564-565. ^ "News Bytes". Next Generation (Lifecycle 2). Vol. 1 no. 3. November 1999. p. 14. More than one Sega employee was witnessed during the festivities raising a glass and toasting ousted COO Bernie Stolar. "This was his launch," they would say; one or two was seen crying. cf. Kennedy, Sam (August 12, 1999). "A Post-Bernie Sega Speaks". GameSpot. Archived from the original on July 5, 2017. Retrieved December 9, 2014. ^ Gantayat, Anoop (September 9, 2008). "IGN Classics: Dreamcast Launch Guide". IGN. Ziff Davis. Archived from the original on October 30, 2014. Retrieved October 29, 2014. ^ Kato, Matthew (October 30, 2013). "Which Game Console Had The Best Launch Lineup?". Game Informer. GameStop. p. 4. Archived from the original on December 30, 2014. Retrieved November 5, 2014. ^ a b c Perry, Douglass (September 9, 2009). "Features - The Rise And Fall Of The Dreamcast". Gamasutra. UBM plc. Archived from the original on October 27, 2014. Retrieved October 29, 2014. ^ a b c "Dreamcast beats PlayStation record". BBC News. November 24, 1999. Archived from the original on October 16, 2013. Retrieved October 29, 2014. ^ Gestalt (October 17, 2000). "Dreamcast - thanks a million". Eurogamer. Gamer Network. Archived from the original on October 22, 2014. Retrieved October 16, 2014. ^ Kent 2001, pp. 560-561. ^ Parkin, Simon (June 25, 2014). "A history of videogame hardware: Sony PlayStation 2". Edge. Future plc. Archived from the original on November 29, 2014. Retrieved March 5, 2015. ^ Parkin, Simon (June 27, 2014). "A history of videogame hardware: Xbox". Edge. Future plc. Archived from the original on November 21, 2014. Retrieved March 5, 2015. In the run-up to the launch of Sony's PlayStation 2, a number of Microsoft engineers became concerned at the Japanese company's claims that their new console was set to wipe the PC from the home. ^ Kent 2001, pp. 585-588. ^ "Sega Enterprises, Ltd. Annual Report 1998" (PDF). Sega.jp. Sega. p. 8. Archived from the original (PDF) on June 17, 2002. ^ "Sega Enterprises, Ltd. Annual Report 2000" (PDF). Sega.jp. Sega. Archived from the original (PDF) on September 25, 2007. Retrieved March 12, 2010. ^ "Sega Corporation Annual Report 2002" (PDF). segasammy.jp. Sega Sammy Holdings. Archived (PDF) from the original on November 30, 2018. Retrieved November 29, 2018. ^ "Sega Corporation Annual Report 2004" (PDF). segasammy.jp. Sega Sammy Holdings. pp. 2, 16. Archived from the original (PDF) on December 25, 2009. Retrieved March 12, 2010. ^ "Sega Enterprises, Ltd. Changes Company Name". Sega.jp. Sega. November 1, 2001. Archived from the original on April 19, 2015. Retrieved May 7, 2015. ^ Kent 2001, pp. 581-582. ^ Kent, Steven L. (April 2001). "A Few Words on Sega, From the Founder". Next Generation (Lifecycle 2). Vol. 3 no. 4. Imagine Media. p. 9. ^ Justice, Brandon (January 23, 2001). "Sega Sinks Console Efforts?". IGN. Ziff Davis. Retrieved May 7, 2015. ^ Gantayat, Anoop (January 23, 2001). "Sega Confirms PS2 and Game Boy Advance Negotiations". IGN. Ziff Davis. Retrieved May 7, 2007. ^ Kent 2001, pp. 588-589. ^ "Sega pulls plug on Dreamcast". Next Generation (Lifecycle 2). Vol. 3 no. 4. Imagine Media. April 2001. pp. 7–9. ^ "Sega Ships the "Dreamlast"". GamePro. Vol. 14 no. 162. IDG. March 2002. p. 30. ^ "Dreamcast Collector's Edition Giveaway". GamePro. Vol. 14 no. 163. IDG. April 2002. p. 117. ^ Tanikawa, Miki (March 17, 2001). "Isao Okawa, 74, Chief of Sega And Pioneer Investor in Japan". The New York Times. The New York Times Company. Archived from the original on May 18, 2015. Retrieved May 7, 2015. ^ Gaither, Chris (November 1, 2001). "Microsoft Explores A New Territory: Fun". The New York Times. The New York Times Company. p. 2. Archived from the original on May 27, 2015. Retrieved May 7, 2015. ^ "Sega: The Blue Sky Company". Edge. Future plc. May 31, 2007. Archived from the original on November 29, 2014. Retrieved March 5, 2015. ^ "Analysts say Sega taking its toll on CSK's bottom line". Taipei Times. The Liberty Times Group. March 13, 2003. Archived from the original on July 16, 2015. Retrieved May 7, 2015. ^ a b Fahey, Rob (May 20, 2003). "Sega reports a profit, but top execs step down". GamesIndustry.biz. Gamer Network. Archived from the original on July 11, 2018. Retrieved July 11, 2018. ^ Niizumi, Hirohiko; Thorsen, Tor (May 18, 2004). "Sammy merging with Sega". GameSpot. CBS Interactive. Archived from the original on October 6, 2008. Retrieved February 18, 2011. ^ Bramwell, Tom (December 11, 2003). "Sammy tells Sega to focus on arcade". Eurogamer. Gamer Network. Archived from the original on December 25, 2014. Retrieved May 7, 2015. ^ Hirohiko Niizumi (June 1, 2004). "Sammy reveals new logo, changes at Sega". GameSpot. Archived from the original on August 28, 2018. Retrieved November 16, 2016. ^ "Annual Report 2005" (PDF). Sega Sammy Holdings Inc. September 5, 2005. Archived (PDF) from the original on March 4, 2016. Retrieved November 16, 2016. ^ "Earnings information". Sega Sammy Holdings. Archived from the original on June 1, 2016. Retrieved November 16, 2016. ^ "セガ 製品情報" [Sega product information]. sega.jp (in Japanese). Sega. Archived from the original on May 11, 2015. Retrieved May 7, 2015. ^ "Sega PC Localized Game Official Site". sega.jp. Sega. Archived from the original on May 12, 2015. Retrieved May 7, 2015. ^ Calvert, Justin (May 12, 2003). "John Woo-Backed Studio Partners With Sega". GameSpot. CBS Interactive. Archived from the original on January 31, 2016. Retrieved May 15, 2015. ^ "Hollywood's Long History of Mostly Failing to Make Video Games". Kotaku. Gawker Media. July 5, 2013. Archived from the original on May 18, 2015. Retrieved May 15, 2015. ^ "Sales by segment – Financial Information – Investor Relations". www.segasammy.co.jp. Sega Sammy Holdings. Archived from the original on May 21, 2015. Retrieved April 5, 2015. ^ Verini, James (October 19, 2012). "How Virtual Pop Star Hatsune Mikue Blew Up in Japan". Wired. Condé Nast. Archived from the original on May 16, 2015. Retrieved May 7, 2015. ^ MacGregor, Kyle (September 19, 2013). "Atlus 'extremely happy' to join forces with Sega". Destructoid. Archived from the original on September 15, 2015. Retrieved May 7, 2015. ^ a b Pitcher, Jenna (February 18, 2014). "Sega to rebrand Index as Atlus in April, creates new division". Polygon. Vox Media. Archived from the original on April 29, 2015. Retrieved May 7, 2015. ^ Rose, Mike (May 11, 2012). "Sega focusing on digital shift following decreased 2011 financials". Gamasutra. UBM plc. Archived from the original on May 18, 2015. Retrieved May 7, 2015. ^ a b Harris, Jake (June 28, 2012). "Sega to close five European, Australian offices". GameSpot. CBS Interactive. Archived from the original on May 10, 2015. Retrieved May 7, 2015. ^ Moscritolo, Angela (March 30, 2012). "Sega Cancelling Games, Planning Layoffs". PC Magazine. Ziff Davis. Archived from the original on May 1, 2015. Retrieved April 8, 2015. ^ Crossley, Rob (January 30, 2015). "Sega to Axe 300 Jobs as Focus Turns to PC and Mobile". Yahoo! Games. Yahoo!. Archived from the original on October 17, 2015. Retrieved April 14, 2015. ^ "Market Data". capcom.co.jp. Capcom. Archived from the original on March 15, 2015. Retrieved April 5, 2015. ^ "Business Strategies". segasammy.co.jp. Sega Sammy Holdings. Archived from the original on February 22, 2015. Retrieved April 5, 2015. ^ Kohler, Chris (October 2, 2009). "Sega to Close Arcades, Cancel Games, Lay Off Hundreds". Wired. Condé Nast. Archived from the original on April 15, 2015. Retrieved May 7, 2015. ^ "FY Ending March 2015 – 3rd Quarter Results Presentation" (PDF). segasammy.co.jp. Sega Sammy Holdings. Archived (PDF) from the original on September 24, 2015. Retrieved April 14, 2015. ^ "SEGA Mobile Game Closures". Sega Blog. Archived from the original on May 10, 2015. Retrieved May 9, 2015. ^ Rao, Chloi (May 8, 2015). "SEGA Removing Games From Mobile Catalog that Fail to Meet Quality Standards". IGN. Ziff Davis. Retrieved May 10, 2015. ^ a b "Sega acquires Demiurge Studios, but not its best-known game, Marvel Puzzle Quest". Polygon. Vox Media. Archived from the original on September 12, 2018. Retrieved February 19, 2015. ^ Kerr, Chris (March 4, 2016). "Sega's Western mobile division hit with layoffs". Gamasutra. UBM Tech. Archived from the original on January 18, 2017. Retrieved January 17, 2017. ^ a b Cowley, Rick (November 20, 2017). "From Sonic Jump to Speed Battle: The story of Sega Hardlight". PocketGamer.biz. Steel Media, LLC. Archived from the original on September 12, 2018. Retrieved September 11, 2018. ^ "事業内容｜株式会社セガゲームス". sega-games.co.jp (in Japanese). Sega. Archived from the original on May 18, 2015. Retrieved May 15, 2015. ^ "Notice of Organizational Restructuring within the Group and Change of Names of Some Subsidiaries due to the Restructuring" (PDF). segasammy.co.jp. Sega Sammy Holdings. February 12, 2015. Archived (PDF) from the original on June 24, 2015. Retrieved May 7, 2015. ^ "SEGA of America Relocates to Southern California". Game Informer. January 30, 2015. Archived from the original on March 22, 2017. Retrieved March 22, 2017. ^ a b c d "Balance sheets information｜Financial Information｜Investor Relations｜SEGA SAMMY HOLDINGS". Segasammy.co.jp. Archived from the original on August 19, 2017. Retrieved February 4, 2015. ^ a b "セガゲームス���動！代表取締役社長CEO里見治紀氏に訊く新会社設立の意図と将来像". Famitsu (in Japanese). July 20, 2015. Archived from the original on August 28, 2015. Retrieved September 9, 2015. ^ "Executive Profile | SEGA SAMMY Group | SEGA SAMMY HOLDINGS". www.segasammy.co.jp. Sega Sammy Holdings. Archived from the original on September 19, 2015. Retrieved September 9, 2015. ^ a b c d "Business Summary | SEGA Corporate Site". www.sega.co.jp. Archived from the original on September 6, 2018. Retrieved September 6, 2018. ^ a b "History of SEGA SAMMY group". segasammy.co.jp. Sega Sammy Holdings. Archived from the original on March 31, 2019. Retrieved March 8, 2019. ^ INPIT. "特許情報プラットフォーム｜J-PlatPat". www.j-platpat.inpit.go.jp (in Japanese). Archived from the original on February 25, 2018. Retrieved October 24, 2018. ^ 株式会社インプレス (September 17, 2016). "「セガ3D復刻アーカイブス3 FINAL STAGE」に「サンダーフォースIII」収録!! テクノソフトの権利をセガが取得、元テクノソフトの新井氏も登場して経緯を語った". GAME Watch (in Japanese). Archived from the original on August 27, 2018. Retrieved October 24, 2018. ^ "Consolidation/Relocation of Head Office Functions of SEGA SAMMY Group" (PDF). Sega Sammy Holdings. April 3, 2017. Archived (PDF) from the original on April 4, 2017. Retrieved April 4, 2017. ^ Wong, Alistair (February 24, 2019). "Players Say Goodbye As Old Sega Headquarters Finally Sold Off For Eventual Reconstruction". Siliconera. Archived from the original on March 8, 2019. Retrieved March 8, 2019. ^ Workman, Robert (October 13, 2017). "Sega Is Opening Up Its Own Shop Next Week, And We Need To Buy All The Things". Comicbook Gaming. GameSpot. Archived from the original on October 24, 2018. Retrieved October 24, 2018. ^ Minotti, Mike. "Sega of America taps THQ, Acclaim vet Ian Curran as new president and COO". Venture Beat. Archived from the original on August 2, 2018. Retrieved August 3, 2018. ^ "SEGA UK - Corporate". sega.co.uk. Sega. Archived from the original on September 18, 2018. Retrieved September 17, 2018. ^ Houghton, David (April 24, 2008). "The greatest Sonic game we never got ..." GamesRadar+. Future plc. Archived from the original on May 21, 2013. Retrieved July 23, 2012. ^ Horowitz, Ken (May 9, 2006). "Interview: Steven Kent (Author)". Sega-16. Ken Horowitz. Archived from the original on May 4, 2016. Retrieved February 22, 2018. ^ McFerran, Damien (February 22, 2012). "The Rise and Fall of Sega Enterprises". Eurogamer. Gamer Network. Archived from the original on February 16, 2014. Retrieved September 11, 2018. ^ "History of Sega Toys" (PDF). Sega Toys Co., Ltd. 2014. Archived (PDF) from the original on April 15, 2015. Retrieved October 24, 2018. ^ "STORIES LLC, STORIES INTERNATIONAL INC". Stories International LLC. Archived from the original on April 30, 2016. Retrieved May 15, 2015. ^ "STORIES INTERNATIONAL, INC. - HAKUHODO". Stories International LLC. Archived from the original on December 22, 2017. Retrieved December 25, 2017. ^ "STORIES INTERNATIONAL PARTNERS WITH "THE WALKING DEAD" PRODUCERS CIRCLE OF CONFUSION ON FILM & TV ADAPTATIONS OF HIT SEGA FRANCHISES "ALTERED BEAST" AND "STREETS OF RAGE" - STORIES LLC, STORIES INTERNATIONAL, INC". Stories-llc.com. Archived from the original on March 3, 2018. Retrieved December 25, 2017. ^ "STORIES INTERNATIONAL PARTNERS WITH "THE WALKING DEAD" PRODUCERS CIRCLE OF CONFUSION ON FILM & TV ADAPTATIONS OF HIT SEGA FRANCHISES "ALTERED BEAST" AND "STREETS OF RAGE"" (PDF). Stories-llc.com. Archived (PDF) from the original on October 24, 2018. Retrieved December 25, 2017. ^ "Sega Sammy Holdings – Annual Report 2014" (PDF). segasammy.jp. Sega Sammy Holdings. pp. 34, 58, 62, 65. Archived (PDF) from the original on December 25, 2014. Retrieved May 6, 2015. ^ Morrison, Angus (July 5, 2016). "Sega acquires Endless developer Amplitude". PC Gamer. Archived from the original on July 7, 2016. Retrieved July 5, 2016. ^ Bramwell, Tom (March 9, 2005). "SEGA acquires Creative Assembly". Eurogamer. Gamer Network. Archived from the original on May 18, 2015. Retrieved May 7, 2015. ^ Lien, Tracy (January 24, 2013). "Sega purchased THQ's Relic Entertainment to 'reinforce PC game development capabilities'". Polygon. Archived from the original on January 27, 2013. Retrieved January 24, 2013. ^ "SEGA acquires Sports Interactive". Eurogamer. Gamer Network. April 4, 2006. Archived from the original on May 18, 2015. Retrieved May 7, 2015. ^ Kent 2001, pp. 577-578, 581. ^ Montfort, Nick; Consalvo, Mia. "The Dreamcast, Console of the Avant-Garde". Loading... The Journal of the Canadian Game Studies Association. 6 (9): 82–99. ^ Fahey, Rob (June 29, 2004). "Sega development studios return to the fold". GamesIndustry.biz. Gamer Network. Archived from the original on July 11, 2018. Retrieved July 11, 2018. ^ Higham, Rupert (October 6, 2010). "Interview: Sonic Team's Takashi Iizuka". Kikizo. Superglobal Ltd. Archived from the original on March 27, 2018. Retrieved March 27, 2018. ^ ""Phantasy Star Online 2" producer Mr. Satoshi Sakai interview". GAME Watch (in Japanese). Impress Corporation. November 11, 2012. Archived from the original on September 29, 2018. Retrieved September 29, 2018. ^ Fukuhara, Hiroyuki (October 21, 2016). "Sega · Interactive, announces new arrival RPG "SOUL REVERSE ZERO" of AM2 lab!". GAME Watch (in Japanese). Impress Corporation. Archived from the original on July 4, 2018. Retrieved September 29, 2018. ^ Brown, Nathan (October 2018). "Collected Works: Toshihiro Nagoshi". Edge. No. 323. Future plc. pp. 82–93. ^ "Most prolific producer of arcade machines". Guinness World Records. Jim Pattison Group. Archived from the original on December 25, 2014. Retrieved May 7, 2015. ^ Robinson, Martin (February 16, 2014). "Sega's arcade redemption". Eurogamer. Archived from the original on March 2, 2014. Retrieved February 25, 2019. ^ "Top 25 Videogame Consoles of All Time". IGN. Ziff Davis. September 4, 2009. Archived from the original on June 23, 2018. Retrieved October 24, 2010. ^ Parish, Jeremy (August 14, 2014). "Sega Genesis 25th Anniversary: The Rise and Fall of an All-Time Great". USgamer. Gamer Network. Archived from the original on May 27, 2015. Retrieved November 16, 2015. ^ Reparaz, Mikel (February 23, 2008). "The 10 worst consoles ever". GamesRadar+. Future plc. p. 2. Archived from the original on February 11, 2017. Retrieved June 7, 2013. ^ Buchanan, Levi (October 24, 2008). "32X Follies". IGN. Ziff Davis. Archived from the original on April 17, 2016. Retrieved May 25, 2013. ^ Buchanan, Levi (October 15, 2008). "Sega CD Follies". IGN. Ziff Davis. Archived from the original on August 28, 2013. Retrieved July 1, 2013. ^ Parish, Jeremy (November 18, 2014). "The Lost Child of a House Divided: A Sega Saturn Retrospective". USgamer. Gamer Network. Archived from the original on December 15, 2014. Retrieved December 17, 2014. ^ "Dreamcast is number 8". IGN. Ziff Davis. Archived from the original on August 30, 2011. Retrieved September 7, 2011. ^ Whitehead, Dan (January 2, 2009). "Dreamcast: A Forensic Retrospective". Eurogamer. Gamer Network. Archived from the original on October 15, 2014. Retrieved October 30, 2014. ^ "The ten best consoles: our countdown of the greatest gameboxes of the last 20 years". Edge. Future plc. September 20, 2013. Archived from the original on November 28, 2014. Retrieved March 5, 2015. ^ Redsell, Adam (May 20, 2012). "SEGA: A Soothsayer of the Games Industry". IGN. Ziff Davis. Archived from the original on October 12, 2013. Retrieved November 30, 2018. ^ Sato (July 7, 2015). "Sega Learned About Making Quality Games From Atlus, Aim To Regain Trust From Players". Siliconera. Curse, Inc. Archived from the original on June 30, 2018. Retrieved June 30, 2018.